Below is a well-created world map showing the world market share in an overall view. Download this template when you need it. 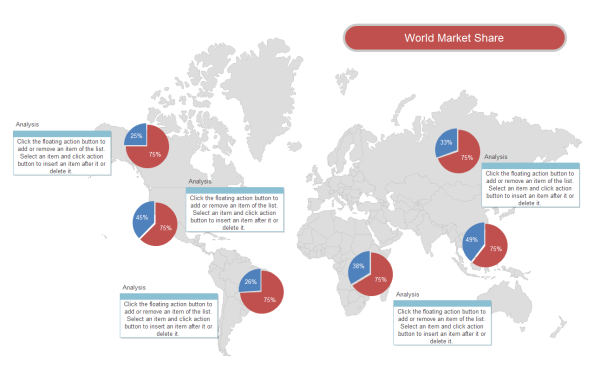 This market share world map template is easily customizable. The extensive built-in symbols in Edraw can help develop versatile world map for many different purposes. You can download and modify the market share world map for your own use. 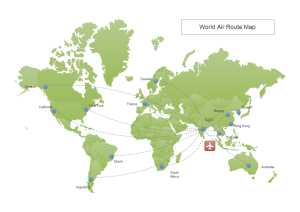 Create your own world air route map using this ready-made template. You can easily move the dots to any places to indicate the terminals. Click the picture to gain a larger size map and the download link. A great range of symbols and clip arts are available for you to make eye-catching world map for your presentation. 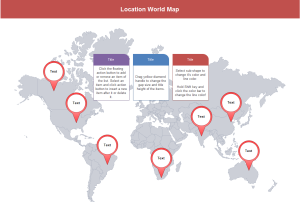 From this template, you not only gain a vector world map, but also get customizable markers and beautiful list shapes. Click the picture to download the editable file. Discover why Edraw is an excellent program to create market share world map. Try Edraw FREE.